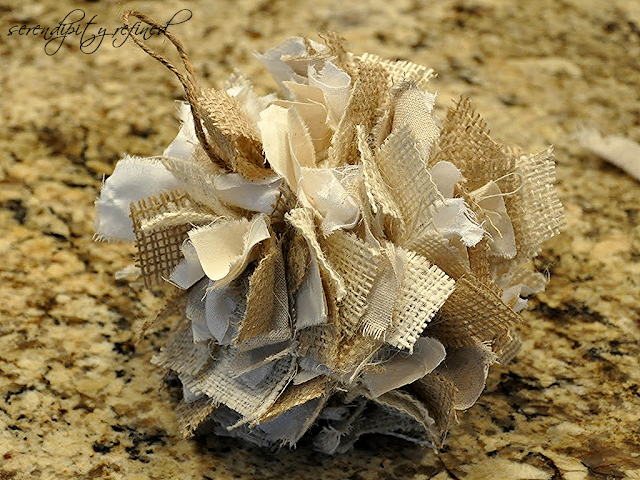 Fabric: I use a combination of "neutral" fabrics: muslin, burlap, flour sack, cotton. Basically, anything that you have handy will work: any thin weight fabric , tissue, tulle, ribbon, even string or yarn will work. Patterns work well, too but for these, I chose neutrals. 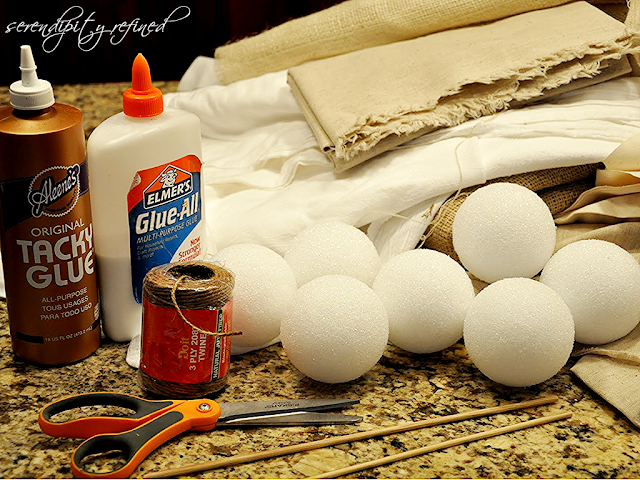 Glue: I use a combination of Tacky and Elmer's because it sticks well and isn't too thick or too thin. 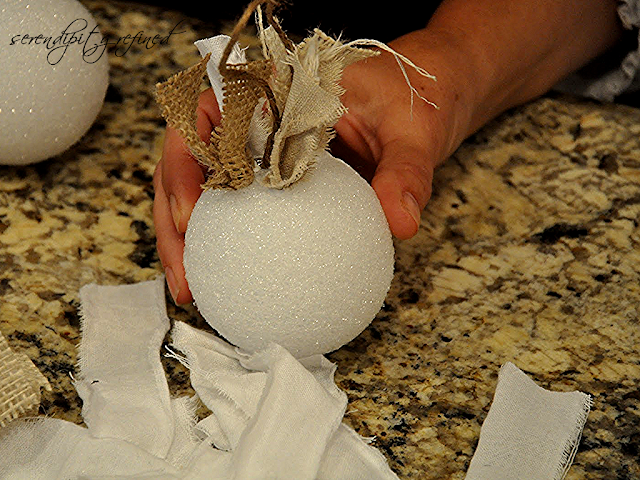 Skewers, Dowels, Screwdriver, Pencil or other tool to "poke" the fabric into the ball. Jute or string for a "hanger" if you want to use them for ornaments. 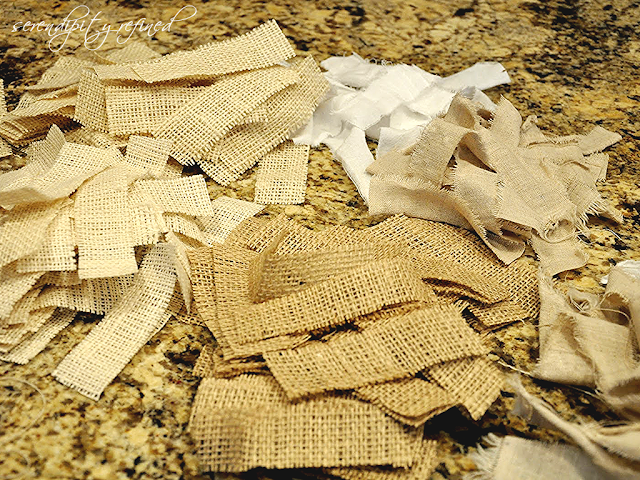 Cut and/or Tear the fabric into about 1 1/2 inch strips and then cut/tear it into pieces that are between 3 and 4 inches long (no need to be exact). 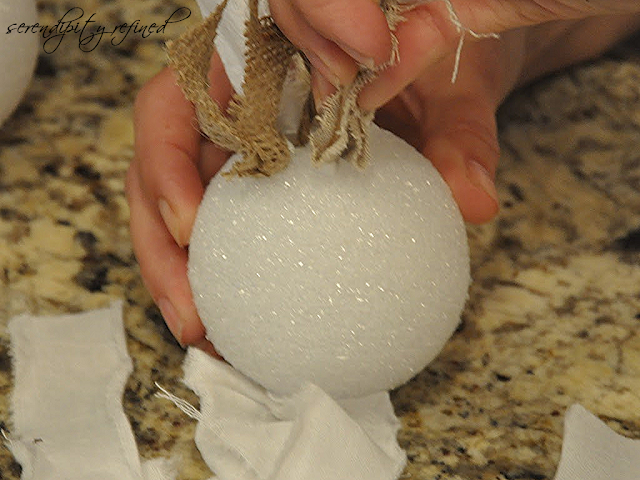 Next, wrap a piece of fabric around the skewer, dip it into the glue, and push it into the Styrofoam about 1/4 to 3/8 of an inch. It's important not to push it too far into the ball or the ball will begin to fall apart when you get toward the bottom. Repeat the process, using a mix of pieces, all the way around the ball working toward the bottom and turning the ball as you progress. That's it. Easy, right? 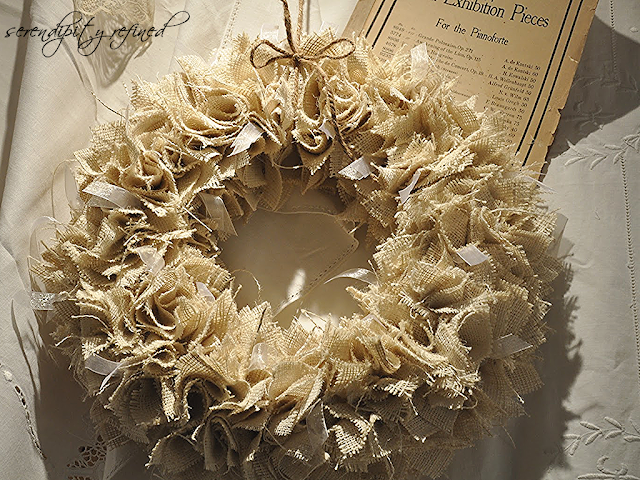 Here's how it looks when finished as well as a picture of my fall wreath. It was made using the same process as the ornament, using a foam wreath form for the base. 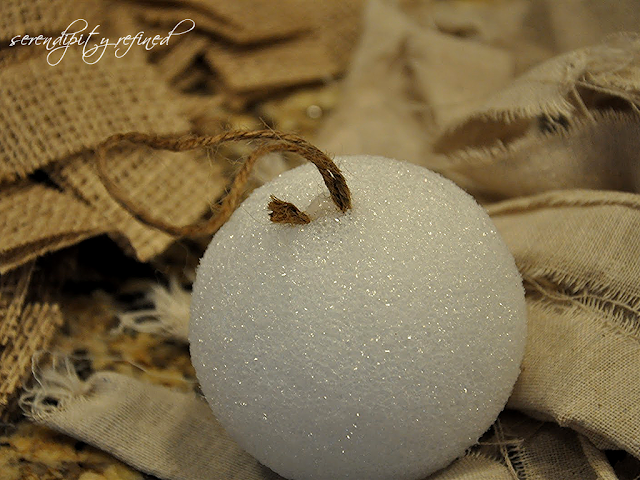 The balls make cute bowl fillers, they look good stuck on sticks in a vase, and they're great, unbreakable, ornaments.The wreath can also be used around a candle on a table.